WE. WANT. ALLLLLL OF YOU! Day by day, our Clan list grows. Our Ninjutsu, Taijutsu and Genjutsu list grows. Our world grows. With homages paid to all manga heroes and villains in the forms of unique bloodlines and power-up's, there's no 'right' way to carve your path across this Alternate Naruto Universe - only the NRP way. Two-Hundred members strong and a live, site-wide Chuunin Exam in the heat of battle, it's time to make internet history. So what are you waiting for...? 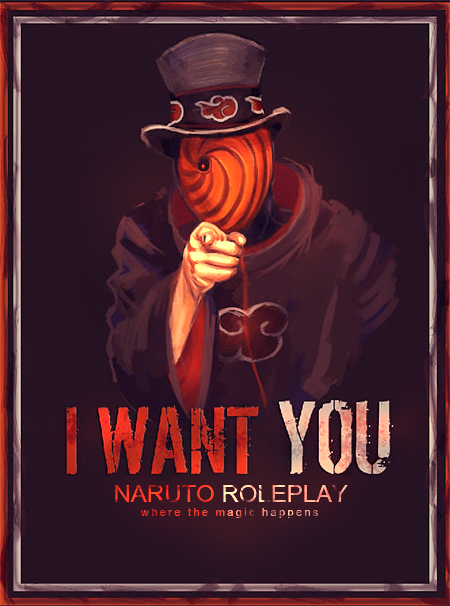 Come to NRP. Where the damn magic happens!! !